Fleur is a Nutritional Therapist and a Psycho-neuro-immunology Clinician. She provides Nutritional Therapy from a clinical psycho-neuro-immunology perspective. It is based on the latest developments in the fields of psychology, neurology and immunology underpinned by nutritional medicine. She views her approach as part preventative part regenerative medicine. Fleur is very involved in weight management and the restoration of optimal health by providing the right environmental conditions that you are genetically designed for. To this end, she has co-written the hugely successful book ‘The In-Sync Diet’ with the actress Glynis Barber. She has also done a lot of work in the field of autoimmune disease, fibromyalgia and gluten intolerance. She recognizes that food contains thousands of healing plant chemicals that can make the difference between health and disease. Her strong emphasis is on an anti-inflammatory approach and the regulation of blood sugar levels. She believes this focus will help to stem the tide of chronic lifestyle related illnesses such as chronic fatigue, depression, type II diabetes, cardiovascular disease, allergies and intolerances and neurodegeneration. It will also enhance physical performance allowing athletes to achieve new levels of fitness whilst reducing muscle damage and injury. Fleur sees clients in Chiswick and Putney in London. She also has a virtual practice via Skype that means she can work with those who are not based in London. 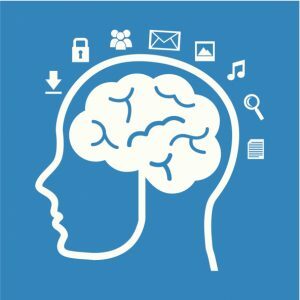 What is the Clinical Psycho-neuro-immunology approach? 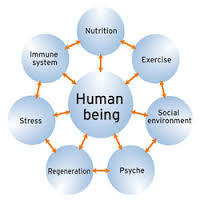 The clinical psycho-neuro-immunology (cPNI) approach is based on the latest developments in the fields of psychology, neurology, endocrinology, immunology, evolutionary biology and epigenetics – underpinned by Nutritional Medicine and exercise to support the immune system. cPNI is a cutting-edge scientific discipline that looks at how the systems of the body interact with each other. Your mind and body are inextricably linked through biochemical and nervous system pathways. It is impossible to separate the psyche from the soma. From an evolutionary aspect we are programmed for survival and so both your current environment and your past experiences will have an impact on your immune system and your level of health. Once the pathway to ill health has been traced, the route back to optimal health can follow. cPNI is firmly rooted in evolutionary biology and anthropology and this allows for concrete answers as to how your lifestyle may be impacting on the behaviour of your genes. This is known as the science of epigenetics. Only 2 – 5% of diseases are genetic which means it is epigenetic (lifestyle) factors that have the greatest impact on your health. It is therefore within your reach to live a healthy life and overcome chronic disease. Your genes may indicate a certain susceptibility but your lifestyle determines whether you will become ill and psycho-neuro-immunology can provide the answers you are looking for. So who would benefit from clinical psycho-neuro-immunology? Anyone looking to restore health or wishing to live a disease-free life. Exercise recommendations that have a known benefit for the immune system. A deeper understanding of how your immune system is functioning and the route back via the deep learning process. It is a technique that Fleur uses to explain the biochemical and nervous system pathways to ill health and disturbed mechanisms of action. It is designed to empower you to put in motion a required behavioral change. It should enable you to be able to place yourself in the middle of your health problem with an active solution-oriented positive expectation of your future health. Your questions will be answered, the set of symptoms explained as well as risk factors and disrupted body processes and how these can be improved. You can actively participate in the path towards optimal health. Fleur obtained a BSc in Nutritional Medicine from the University of West London. She then joined the team at Bodies Under Construction Chiswick and Putney (www.bodiesunderconstructionphysio.com) where she has run a clinic for the past ten years. In 2012 she obtained a post graduate diploma in psycho-neuro-immunology from the Natura Foundation at the University of London. She had completed four years of study at Masters level with the Natura Foundation, a scientific foundation based in Holland and looks forward to obtaining an MSc in psycho-neuro-immunology once the course has been accredited in the UK. Fleur also maintains a high level of physical fitness. She is a keen runner, cyclist and Vinyassa and Bikram yoga devotee. She has completed her Level One training in Natural Movement Fitness. You will learn with Fleur how you can use movement and food to boost your fat burning capacity, increase your energy levels and sports performance and support your immune system to keep you well.